Not Verified | Missed third connecting flight due to poor organisation. Heathrow to Hong Kong to Sydney. Arrived with little to no sleep as the seats are cramped with no leg room or foot rests. Arrived from international flight on tarmac. We alighted the plane down steps. Two shuttle buses connected us to the airport. There was no priority for connecting flights. I had 1.5 hours but the buses, baggage and connections were all late. I was exhausted and due to disorganisation I missed my flight. There was no sympathy or apologies. I was informed I would have to wait another 8 hours in the airport until another flight. I asked where I could refresh but there was nowhere. An elderly couple were granted Virgin Lounge. I asked but was denied. A kind member overheard and invited me as her guest. I had a shower and waited out the 8 hours. Another couple knew one of the staff and were admitted. I was unwell, recovering from a broken foot and was offered entrance if I paid $65 entry fee. Honestly, I would never fly Virgin Atlantic again. 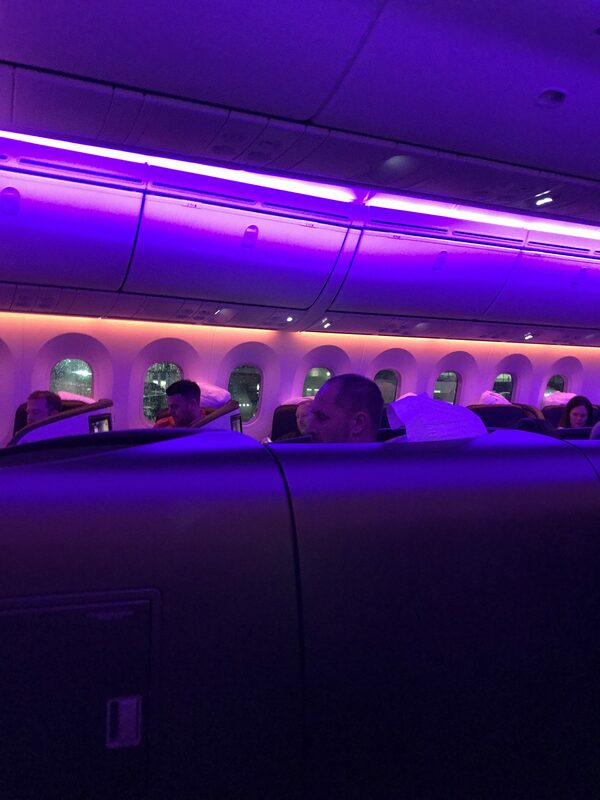 12 hours on a flight with no sleep due to cramped seating (the worst experienced on international) is not good. I had travelled 7 weeks with Virgin and at the end of my journey they could not afford me human comfort due to their lack of organisation. Their explanation was airport congestion. I was ready to collapse. Not good enough and nor did they extend equality in provision of service. ✅ Trip Verified | London to Hong Kong. There are elements of Virgin Atlantic that I really love. One of those is the crew. However, often you get a really mixed bag. Typically they are open, friendly and chatty. They follow a very individualised method that is intended to delight passengers. This is true 70% of the time. Unfortunately the lack of service standardisation leaves the door open to personal interpretation and loose adoption of the service ethics. This can make or break a flight experience. If you have a flight in upper with a great team, you’rllto leave the aircraft with a smile. If you’re unlucky, you’ll leave with gritted teeth over an airfare that wasn’t worth the receipt paper. If Virgin were to ask me what tips the balance, I’d tell them that the experience we all love and pay generously for is not okay just 70% of the time. The 30% is the deal breaker. The desk staff in the clubhouse in LHR can also be somewhat abrupt. ✅ Trip Verified | Going out to Havana I would have given Virgin Atlantic a good review. 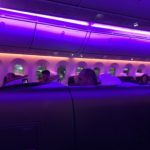 However they retired the Boeing 747 we went on and instead we returned on a newer A340 yesterday (11/12 April 2019). In Economy the seats spacing coming back was awful in the A340. 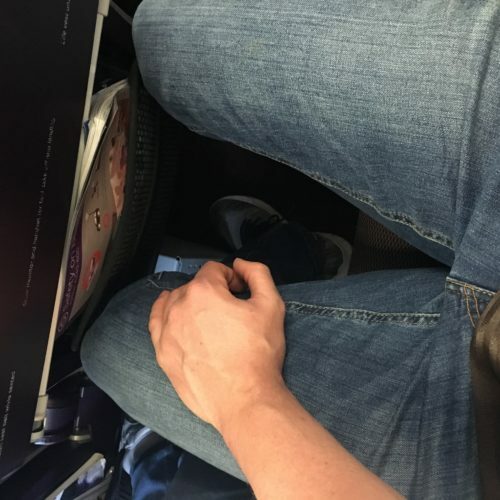 At 6 ft I only just could get my knees behind the seat in front but could not move them without invading the neighbouring space or the aisle, nor even being able straighten them properly under the seat in front. I removed the thick magazines but that did not help much. Bringing down the tray made it even worse, if possible. For a long haul flight I think this is potentially dangerous for health and definitely unacceptable for comfort. My chair would not tip back either so the nine hour night flight was done without any sleep. Larger people definitely had to spill out sideways to neighbours with their legs, and indeed their bodies sometimes. So whilst I liked the food, found the service fine, and despite engine problems when leaving Havana this was dealt with OK (except for 2 extra hours in those seats!). But when I fly again I will definitely check the seat spacing and not fly with an airline that gives so little space in their latest aircraft. "loud, "shouty" pop music was played"
✅ Trip Verified | We flew Virgin Upper Class to Miami to board a ship cruising to Barcelona. We had booked our seats several weeks before. We were met on arrival at the Virgin Wing, our cases picked up directly from the car and we were checked in within 4 mins. The Virgin Lounge was excellent with a good breakfast served by Waitress / Waiter. Priority boarding was quick and painless except for being selected for an annoying and pointless additional security check. The flight was smooth, substantially on time and the service and food first class. The seats were awkwardly angled - I had to twist my neck 120 deg to look out the window and while comfortable, they were slightly narrower than those in BA Business class and far less convenient to recline flat. However all the above is irrelevant as we will never, ever by choice fly Virgin again. From boarding to take off and from landing to disembarking, loud, "shouty" pop music was played. How dare Virgin inflict this on an adult and totally captive audience? What about the basic human right to peace and quiet? Neither myself nor anyone I know or spoke to on this flight has ever been asked if we want this and when I asked the question, the answer was a unanimous no! "delayed by almost 5 hrs"
✅ Trip Verified | Flew from Heathrow to Los Angeles return in March. Firstly we experienced a 4 hour delay when departing Heathrow. The whole time we were on the plan for the delay which was very uncomfortable. 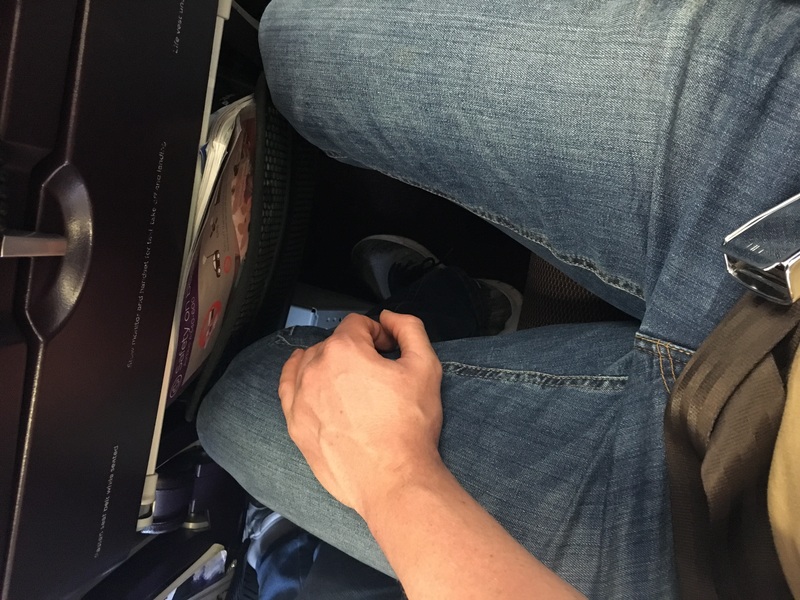 Then boarded the plane and the leg room was terrible, after landing in LA I took a WestJet flight and that had a lot more legroom. Then when flying from LA to Heathrow there was a 45 min delay while we waited for them to load the catering. The legroom was once again very minimal thank goodness I am only 6ft tall, I felt very sorry for the 6ft 3 person sitting next to me. So all in all minimal legroom and over the course of 2 flights I have been delayed by almost 5 hrs. ✅ Trip Verified | Gatwick to St Lucia. We visit St. Lucia every year and have previously chosen Virgin Atlantic because of the comfort of Economy class and quality of staff. Since Delta took over Virgin standards have nosedived, not in the in-flight crews, but in the choice of old, ex-no frills Air Berlin, A330-200's to replace the previous, newer and more comfortable A330-300s, on this holiday route. We flew in Economy LGW-UVF last Friday. The positives: checkin at LGW was easy, and boarding process was orderly - the inflight crew was very good: friendly, helpful, and professional - the food was passable, although the metal utensils have now been replaced by Delta with plastic The negatives: On the A330-200, seat pitches in Economy are now just 30 inches - dangerous for the unsuspecting 6 feet person. The narrow pitch also makes viewing the entertainment screen difficult. Thanks to the still excellent cabin crew, we were moved - except that there were new problems with the new seats. The screen and personal light did not work in our new seats in the rear Economy cabin.. Neither did those in a third seat we moved to. Only did these functions work in a DVD-inducing fourth seat in Economy. But, these non-functions provide only part of the evidence of our poorly maintained aircraft. The A330-200's climate control system is inadequate. On the front row of the rear Economy cabin - and in other rows behind - we were subject to Arctic conditions due to a constantly cold down draught. Meanwhile, the back of our cabin and other cabins enjoyed ambient conditions. The Economy manager attempted unsuccessfully to resolve our Arctic problem but his actions only made the ambient parts of our cabin and other cabins too warm. 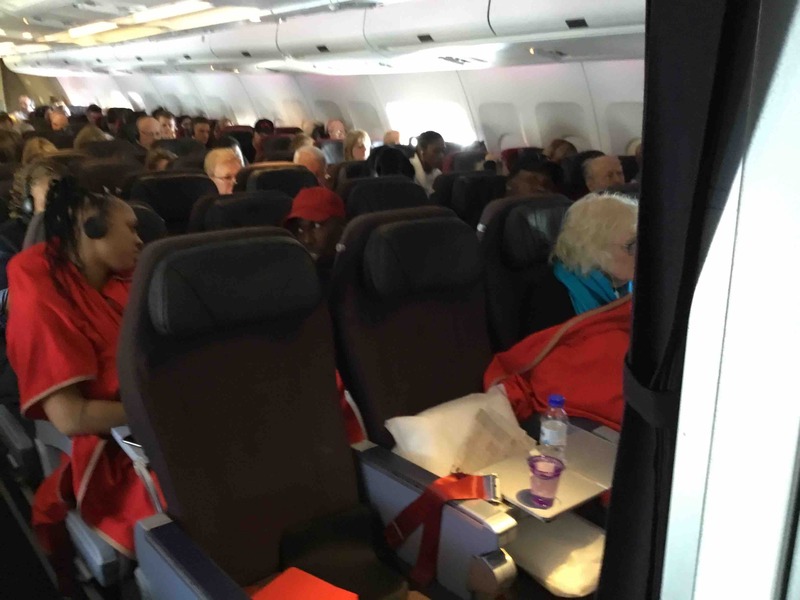 So, not only has Virgin Atlantic imposed a poor second hand aircraft on its passengers but also one poorly maintained. 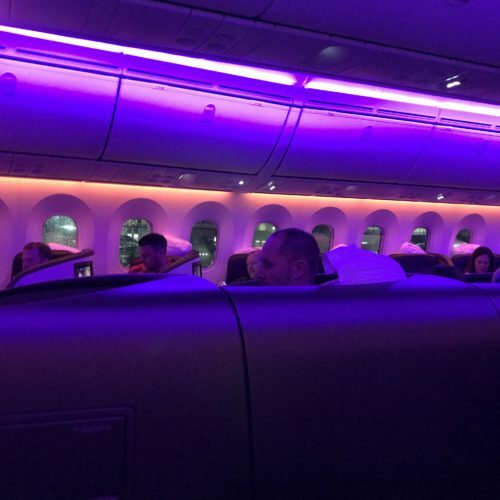 Why Virgin Atlantic thinks it acceptable for its Economy passengers to sit for 10 hours in their coats, jumpers, hats, and blankets is beyond us. 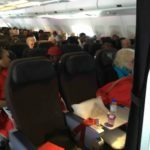 Why Virgin Atlantic expects passengers to sit 10 hours in seats with merely 30 inch pitch is unacceptable. "$30 per person to sit together." ✅ Trip Verified | Washington to London. I booked my Mom's bucket list trip for 6 of us this June with Delta. Delta partnered with Virgin Atlantic. When I first booked I picked all the seats, then with an itinerary change, all seats were dropped. I needed us to sit together as my mother has cognitive lapses. I called Delta about the situation and they provided a seat for my Mom and one of the adults to seat together. 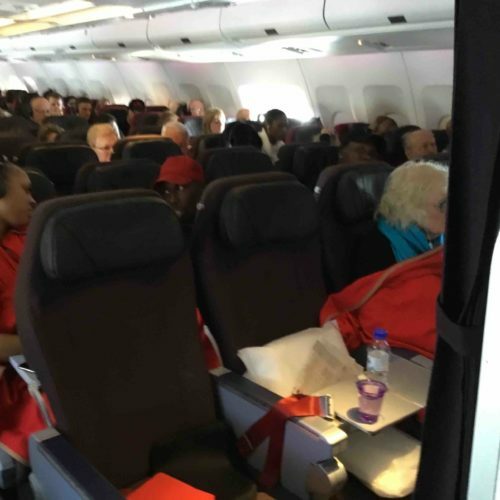 I called Virgin Atlantic and they said it will cost $30 per person to sit together. They wouldn't even give seats to one adult traveling and my mother to sit together. Not Verified | London to Los Angeles. The flight was great overall. The crew onboard was very nice, and they made my time onboard one of the best flights of my life. The food was pretty good as well. One negative side to it is the seats were a little bit tight, but the rest is all good. "will not heat up my childs food"
✅ Trip Verified | London to New York. I'm a mom of a 3 years old toddler with allergies. This was our first overseas flight over 6 hours, and with that more food was required (as i always bring my own food). Or experience was beyond awful. On our way there (flight VS003) our flight was 3h delayed, with staff giving us different and mainly wrong information. Once boarded, we found out that meal for my child was inappropriate (luckily i had a separate bag full of food for her with one meal being in a dish that holds heat for several hours). Mark, one of attendees went beyond every effort to accomodate us and make our flight as pleasurable as possible. Thank you Mark for being what every customer service person should be. He said he will leave a mark for us for our return flight, but that we should call customer service just in case. Which i did. Day before our return flight (VS026 NYC-LONDON) i jave called customer service, where I explained the situation. Lady over the phone said that they do not have a kids meal that could cover our allergies, that she left a special request for us, but that I should bring my own food in a microwaveable dish so the staff onboard could heat it up for us. And so i did. I had enough food (warm in a thermos dish for breakfast) and prepared lunch to be heated up as instructed over the phone. And this is where our misery started. Food for a 3 years old child was extremely spicy vegan meal that even I couldn’t eat. I called flight attendant to ask to heat up a meal for us. She refused as its illegal to do it? I said that i just followed the instructions given by their customer service, I asked to talk with the manager. He approached me with an extreme attitude, not letting me finish my sentence, and said they will not heat up my childs food.